Getting your students to remember and use the addition strategies you’ve taught doesn’t have to be impossible! Equip your students with strategies by posting these visually bright, fun, and memorable addition strategy posters! Teaching addition strategies to your students is essential for building their mental computation and problem solving skills. 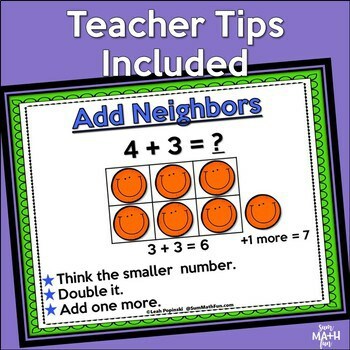 These 14 addition strategy posters will provide a clear, bright and engaging visual reminder for you to display in your classroom as you teach each addition strategy. They are great for addressing Common Core Math Standards for Operations and Algebraic Thinking. There are 8 different strategies presented. Six of the posters present the same strategy with a different name/term to meet different needs. These will save you tons of time. 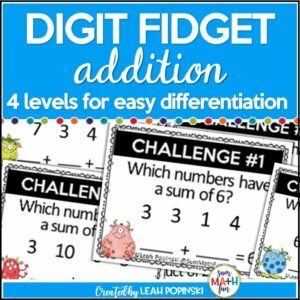 Just refer to a poster to give students a meaningful and memorable way to learn addition strategies! ▶️ Small teacher versions of the strategies along with teacher tips. ▶️ 8 different strategies presented in posters. Plus 6 strategy posters that provide for different names/terms for the same strategy. 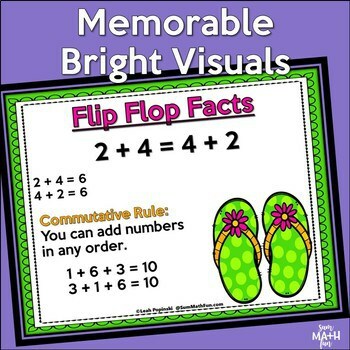 For example, there is a poster included for Flip Flop Facts and another poster for Turn Around Facts – the same strategy but presented with different names so you can choose the one that best fits what you need. 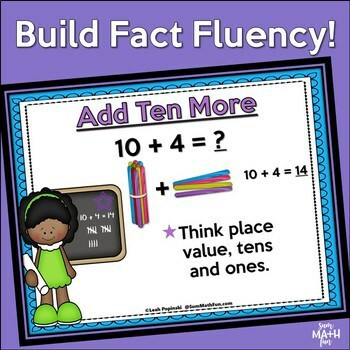 The Common Core calls for students to be fluent in addition facts up to 20 by the end of first grade! In order to help students become fluent, it is important to teach them strategies they can use when solving an equation or a word problem. 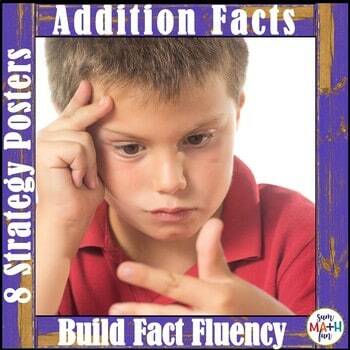 These visually memorable posters will help your students develop the fluency required! 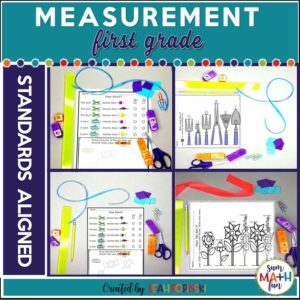 ✋ Looking for more engaging Addition activities?! Check out these popular resources!